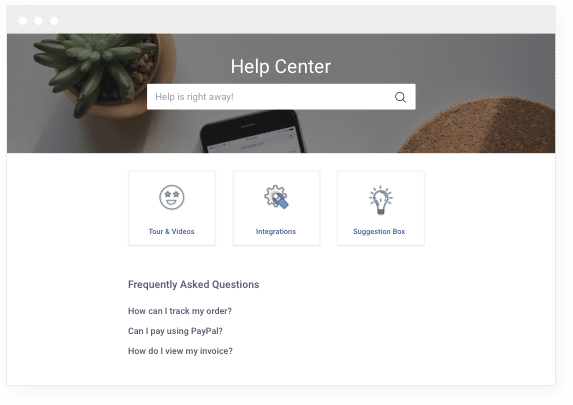 What is ProProfs Help Desk ? ProProfs Help Desk has been developed to cater to the ever-growing needs of the customer service industry. This tool enables agents to track user queries and requests effectively. This kind of issue tracking leads to faster ticket resolution. 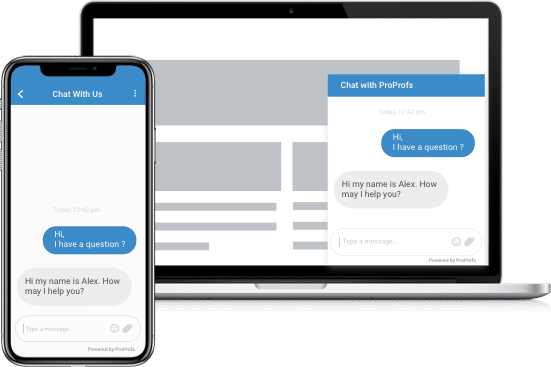 ProProfs Help Desk is a cloud-based ticketing system; best known for its “shared inbox” feature. 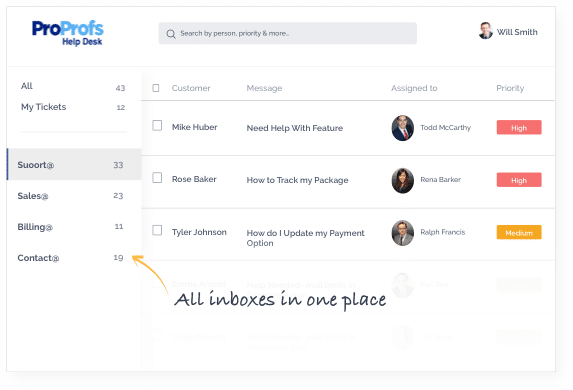 Agents can view, access, and assign tickets to the concerned individual or, team while working on the collaborative email-like interface. Besides, managers can prioritize, label, and mark tickets that demand immediate attention and resolution. They can set up workflow rules around filters, priorities, and service level agreements. How much does ProProfs Help Desk cost ? The pricing for ProProfs Help Desk starts at $39.0 per month. ProProfs Help Desk has 3 different plans such as - Team at $39.0 per month, Business at $79.0 per month and Enterprise at $399.0 per month. ProProfs Help Desk also offers a Free Plan with limited features. Best for startups looking to get started with online help desk. Best for small to medium sized companies that need an agile and powerful help desk. Best for businesses that have dedicated support teams and need a complete solution. Best for large businesses that need multi-agent functionality and enterprise-level reporting. Disclaimer: The pricing details were last updated on 24/09/2018 from the vendor website and may be different from actual. Please confirm with the vendor website before purchasing. "Help Desk Software with the Best Child Ticketing Feature"
Managers and system administrators can easily track the status of a ticket within the organization. You can create child tickets to track internal subtasks. Collaborate to trigger the ticket resolution process. I dislike that there is no mobile app of proprofs help desk. One of the biggest customer support problems that my team was facing is the long pile of unresolved trouble tickets. ProProfs help desk has enabled my agents to take a quick call on the pending issues and requests. Other problems that this help desk ticketing system has solved for me include missed or lost tickets, low-performing agents, and non-collaborative teams. "An awesome addition to the proprofs Line"
I like the idea that I now can have not only an internal ticket system for employees but also an organized customer ticket system. 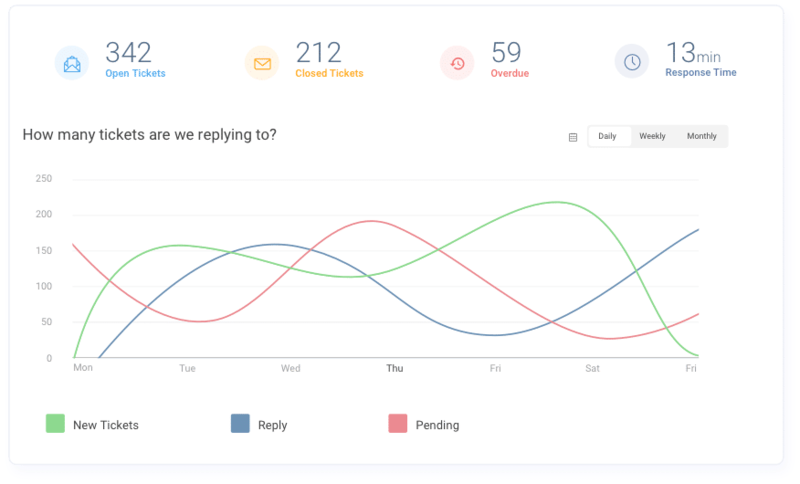 This system allows tickets to be relieved, reviewed and resolved within an acceptable time frame all while hello collaborative team building. The only thing I have learned that I dislike is proving structure. It has a separate pricing from the rest of the ProProfs products which although amazing caused it to be a not expensive as there had been no package proving provided to me. Allowing support tickets to quickly be resolved creating trust from customers and employees. Helping with agent performance with easy to use and understand platform helping them to do their job easier and faster. "Awesome addition to the Proprofs fam"
I like to shared inbox so that it is not all falling on one person's plate of responsibility, instead any ticket can be viewed and resolved by anyone making things more teamwork oriented and collaborative. I also like the issue tracker so that at any time I can view and report on how long on average an issue would take o resolve. It also has a mobile option, issue prioritizing and already ready training modules for higher user adoption/. I think the only thing thus far I am not liking is the pricing structure as I feel that the free version offers the same level of access as the paid version of the team access only difference is 2 additional users are given access. My only other area of dislike with the product is the cloud only deployment. If there is any area of struggle with customer support I urge you to give Proprofs Help Desk a try as it truly simplifys management of all customer related focus. You can trust that any user will have the support as well as training from day 1 of using the platform with built in training increasing user adoption. In addition, team building will come naturally after beginning use of the product with shared inboxed and ongoing customizable surveys. It will definately be the most trusted within the company. Many areas of business are solved with the product including customer support, money is saved with the reduction of time it now takes to resolve any issue or tend to a customer needs with the prioritization and faster ticket resolution. Also, it allows better moral as it assists with team building making it a much happier and encouraging work space.